We went on the "Odd Tour" of LA today. This eschewed the touristy places for something a lot more interesting. 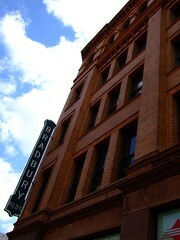 First stop was the Bradbury Building. This was built on a "money no object" basis for a rich bloke around the end of the 1800s. 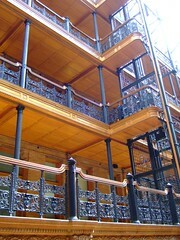 It is famous for many things, amongst them being featured in the film "Blade Runner". The interior is lit by a huge skylight and features elaborate decoration and some water powered lifts. Very impressive. Then, for lunch, we went on the Chinatown for some Dim Son (no jokes about number one offpsring here..). They work on an "bring it all along, all you can eat, basis and all the food was interesting, with some of it delicious. 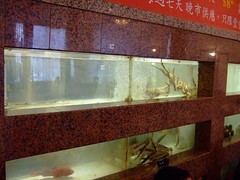 They also had tanks in the wall from which you could select whatever took your fancy. After that it was on to the Watts Towers. These were built by one man out of bits and bobs over a thirty three year period. 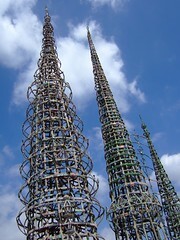 The artist, Simon Rodia, just put them there beceause it seemed a good idea at the time. He used no scafolding, and bent and glued the items together with plaster. Something must have worked though, since they have survived a number of earthquakes. 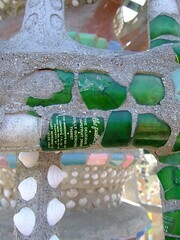 The towers are decorated with broken glass from bottles, crockery, and all sorts. Then, with nary a pause to catch our breath, we moved on to the "Museum of Jurassic Technology". This is a strange place. A strangely odd slice of out and out weirdness all on its own. 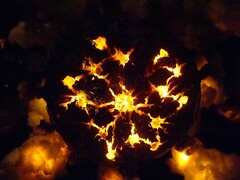 It is as if art and science met up, art gave science a serious kicking and then threw it out of the window. Where science landed, they built this museum. Inside this unassuming front you can find things that will make you wonder. Big time. I have no idea what this is. And I don't care. If you go to LA you must go to this museum. It is as simple, or as complicated, as that. So good I bought the T shirt. Then, after brief trip to try and get closer to the Hollywood sign, we headed back to the hotel. Whowever dreamed up this take on the place has my thanks and admiration.